Often we get requests for Love Spells, Money Spells or Healing Spells. 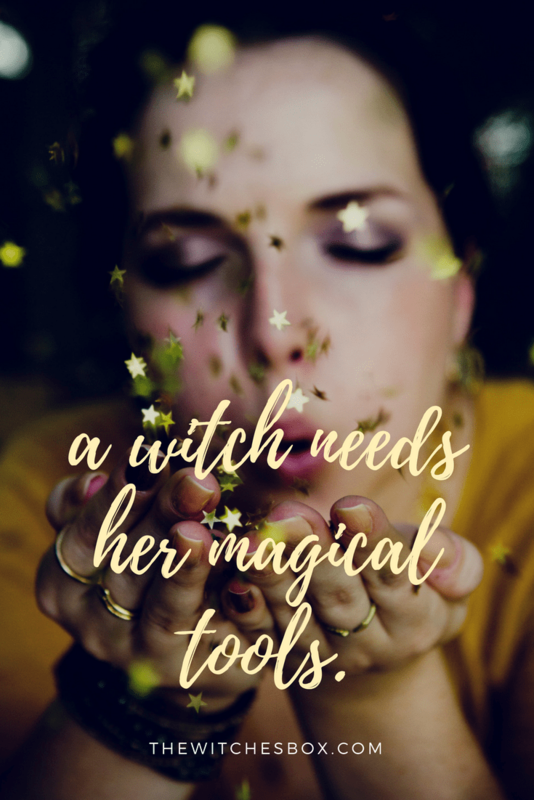 And though there are countless spells for these intentions out there, this is a base spell that can be applied to just about anything you would want to amplify, grow or manifest in your life. The nature of this spell is such that it’s intended to set in motion a reverberation that lasts to infinity. To that end, it is not a spell to use for something that is temporary or is not a concept or dynamic. In other words, this isn’t a spell to make someone be attracted to you, rather, it’s a spell to create the ever expansion of love or healing or abundance or joy or health or creativity, etc, in your life and beyond. Consider your intention carefully with the broader picture of your whole life in mind. Intention: To use the infinity of reflection of 2 mirrors facing each other to amplify a quality or dynamic you want to have constantly growing in your life. 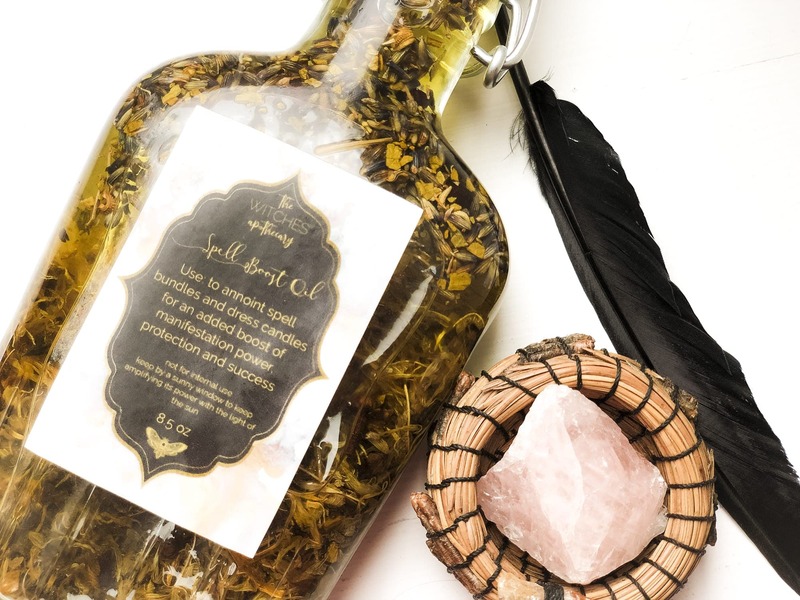 This spell is planted in fertile soil, like an energetic seed, held in the Earth to be nourished by the natural energies of the soil while it does its magick. This spell is not to be taken lightly or to be used for superficial, short term intentions. This is about growing foundational concepts like Love, Healing, Liberation, Growth, Protection, etc. Optional Pieces: stones, herbs, personal items that represent your intention, etc. 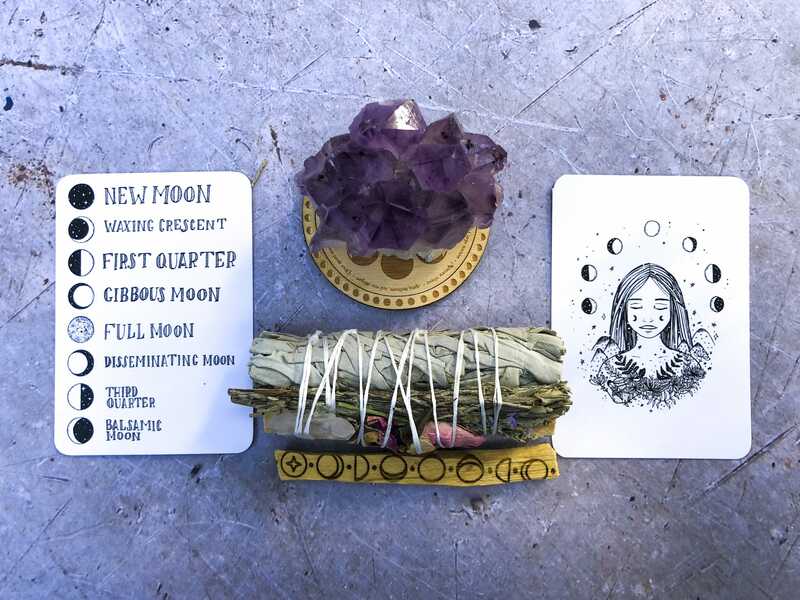 Prior to casting your spell, spend some time creating an intention and then either writing the intention on a small piece of paper, or creating a sigil for the intention. You can also use an image that most represents your intention. Gather your items and find a space outdoors that is fertile and is preferably near you and by a tree. You’ll want to be able to freely sit here undisturbed to dig a hole and bury your spell in such a way where later, this spot won’t be disturbed either, but you can return to in order to ‘feed’ the spell. Once you have found your spot, sit down, cast a circle and light your incense. Take time to drop into meditation by invoking the sensation of this intention in your body. Begin to put your spell bundle together. Between the two mirrors, place your paper, wrapped in the gold leafing. The gold is the value, it is the highest vibration for this spell and it feeds the spell the vibration of quality. Gold leafing is delicate, so this doesn’t have to be a perfect wrap… it’s enough that the gold leafing and the paper with your intention be pressed and folded between both mirrors. The mirrors should face each other such that the inner reflection of the intention goes on for infinity. Then, wrap both mirrors and the contents inside with the green twine. Wrap it around as many times as you can and then knot it three times. Once all the items are in the hole, bury it with soil and close out the circle. Come back to this place each lunar cycle for 3 months, feeding it with seeds, or food, or water, as if you were feeding a new tree. 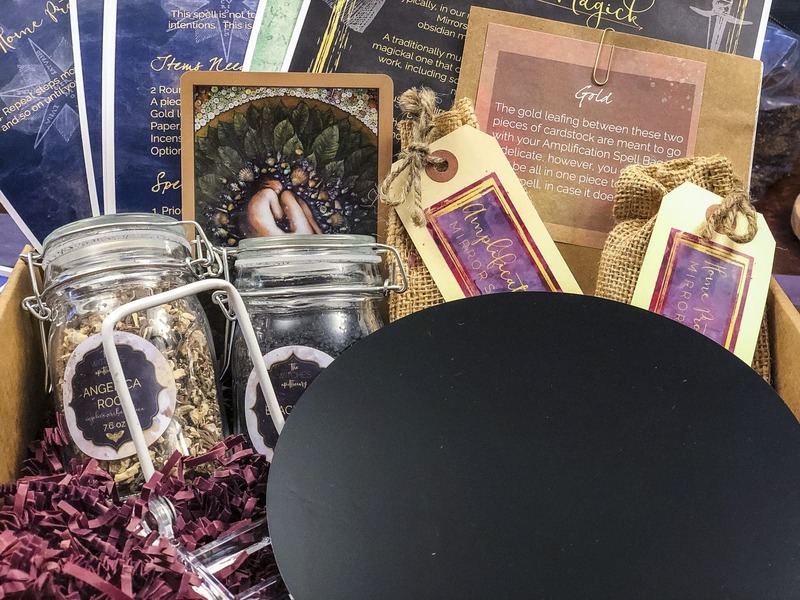 This spell bundle with a Book of Shadows page was included in the Mirror Magick Box of April 2019. At the time of this posting, there are still boxes available for purchase. With your purchase you will also receive a link to the private Deep Dive Gathering recording (You’ll get an invite to the live event if you purchase your box prior to April 25th). The Deep Dive will give further details on how to work this spell and answer any questions on Magick that participants may have. 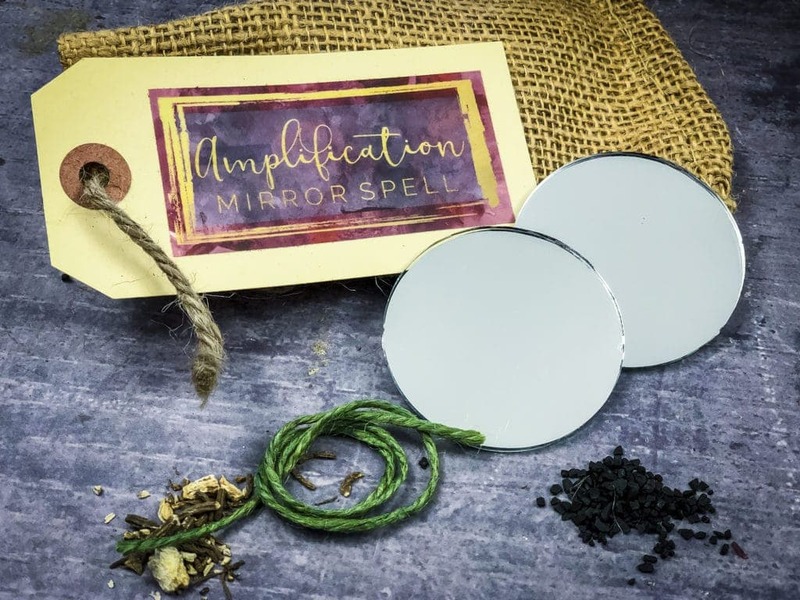 Get your Mirror Magick Box HERE.